You're sure to fall in love with this skinny Blackbird necktie, designed with a trendy gingham print that brings swank and swag to any ensemble. 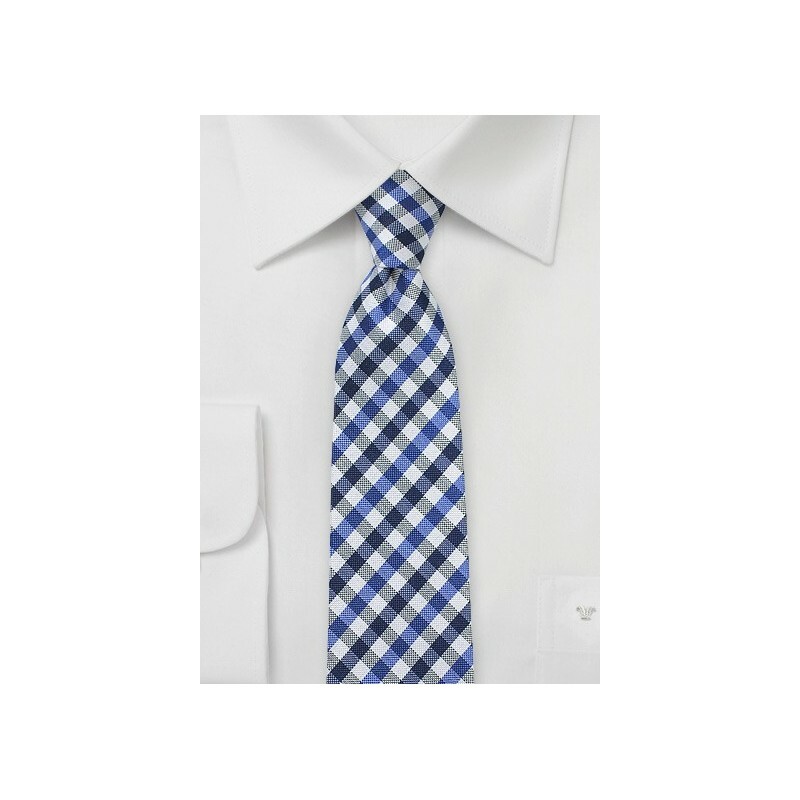 This piece is made from 100% Italian silk and is woven by hand from fine threads in royal blue, black, and white. 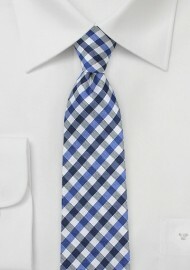 Create a fresh and modern look by matching this necktie with a white button-up and slim-fitting blazer. Handmade from 100% silk by BlackBird.